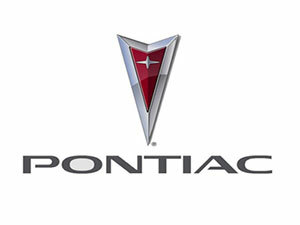 Do you need a Remanufactured Pontiac Sunrunner Engine? Sharper Edge Engines offers Remanufactured Pontiac Sunrunner Engines that are built to exceed original equipment manufacturer’s (OEM) specifications. We Rebuild top quality Engines using high tech computer numerical control (CNC) equipment. if you want the best Engine for your Automobile, a rebuilt or a Remanufactured Engine from Sharper Edge Engines is what you are looking for. In many cases, rebuilt Pontiac Sunrunner Engines actually have better reliability than used Pontiac Sunrunner Engines. They include upgraded Pontiac Sunrunner parts approved by the manufacturer that replace original equipment that has been found faulty. As well as containing upgraded Audi parts, our remanufactured Engines have been completely disassembled and rebuilt and tested with new internal parts. If you take care of your car and your Engine blows, the problem isn&apos;t necessarily with the Engine. When there&apos;s not a better alternative, having your engine rebuilt is a good way to go. Sharper Edge Engines is a family owned and operated business. We used to have a huge business with many operators who, frankly were uninformed. After closing the business for four years, Sharper Edge Engines returned with a vengeance with the goal of treating every customer right and providing the best used and Remanufactured Engines, used and Remanufactured transmissions and more. Now, the company is run by a strong family and two dedicated family friends who know all about engines, transmissions, and automobiles. Please check out our BBB and compare us and you’ll find out why we are so proud of our background.